Zabbix is a powerful networking application, especially designed for clean and efficient monitoring of network resources. The utility features advanced visualization options and an extensive collection of tools that makes it extremely easy to monitor and manage your networks. The app efficiently works with servers, clients and other network devices. You can use the network monitoring tool to keep sharp check on IT infrastructure components, gather important data from network devices and virtual machines, monitor websites, servers, hardware and database services and several other tasks. Also, the network management software provides maps, graphs and screens containing the information you’ll require to be fully aware of your network’s performance level. Apart from this, it also offers database management and graphical data representation. The program’s specialty lies in its web-based graphic interface, which is quite user-friendly and intuitive. You’ll find almost every tool you require neatly organized within the app. It has separate sections for monitoring, inventory, reports, administration and configurations. Apart from this, Zabbix stores the collected data in its own private relational database, so that you can access and process it quite easily. The networking application for Windows lets you monitor MySQL, PostgreSQL, Microsoft SQL server and oracle databases. 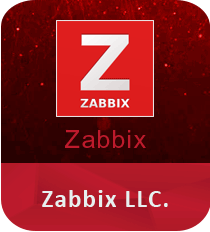 You can Download Zabbix for Windows and monitor your networks quite easily and efficiently. What’s more exciting about the system software is that you can use the network tool to send emails to administrators in case any hardware failure or server connectivity issue occurs and use automated tasks to resolve them. And if it still doesn’t work, there’s also an option to request assistance from experts. Zabbix for Windows is a simple and reliable networking application for PC users that does its task quite impressively. Despite its relatively small size, the utility offers you a comprehensive set of enterprise level tools. It manages to steal your glimpse with its simple and impressive interface, which makes it an ultimate choice for the users who are looking for a simple and efficient tool to monitor their resources without necessarily having any expertise in networking.